Is it already time for Inktober again?? 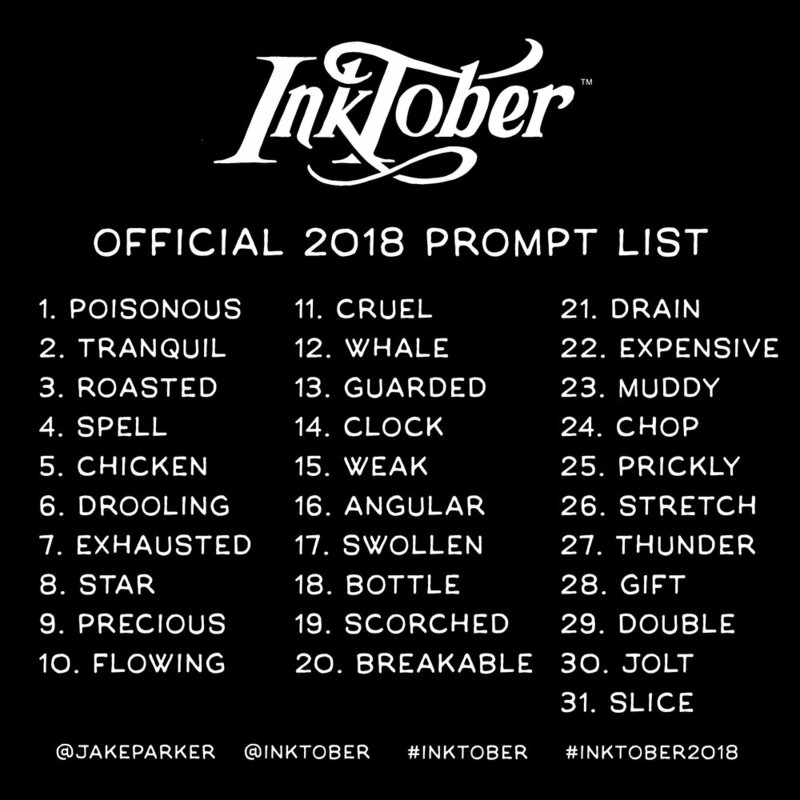 Here's a little something to help you prepare - the official Inktober prompt list! What is Inktober? It's an art challenge started by Jake Parker, one of the founders of SVSLearn. Every year, artists all over the world take on the challenge of making an ink drawing every day for the entire month of October. That's 31 drawings in 31 days! The goal is to improve your drawing skills and develop positive drawing habits. Do you have to use the prompt list? It's totally up to you! The Inktober prompt list is there to help spark creativity. But you can do your own thing. We've seen people do 31 days of a specific theme, pages in an original story, individual sections of one big image, pieces for a portfolio, the possibilities are endless! Newer PostFigure drawing with Proko! Older PostProko is coming to SVS!